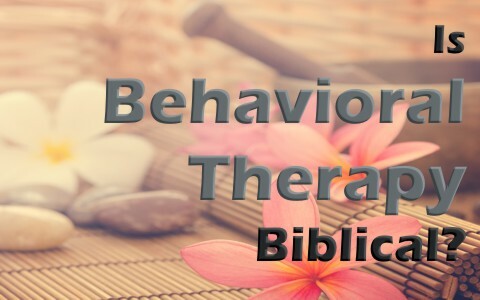 Is Behavioral Therapy biblical? Does the Bible condone or condemn it or is it silent on this subject? I remember years ago studying Pavlov’s Dogs, which was about classical conditioning. Every time they would get ready to feed the dogs they would ring a bell and upon hearing the bell, the dogs would start salivating because they knew food was coming, so Ivan Pavlov used a bell as his neutral stimulus and whenever he gave food to his dogs, he also rang a bell. After repeating it a number of times, he tried the bell on its own. As you might expect, the bell on its own now caused an increase in salivation, so the dogs were conditioned to salivate every time they heard a bell, but is this what they call Behavioral Therapy or is it something altogether different? Can we train our brains to do what they need to do upon outside stimulus? My own cats simply have to hear the cat food bag being moved or the can opener and they are already salivating, so what’s the big deal about Pavlov’s Dogs? It doesn’t sound biblical, does it? Later on in this article we’ll take a closer look at that. Behavioral Therapy or Cognitive Behavioral Therapy, to be more specific, has been used to treat depression for a number of years now. What these types of therapists assume is that a person’s mood can be directly related to his or her own patterns of thought, and that is true in the sense of whatever we think, we tend to be like (Prov 23:7), but we are not helpless victims of our emotions or minds, so any behavioral therapy is only as good as the source (or the therapist). The idea behind Behavioral Therapy is to help a person learn to recognize negative patterns of thought and then evaluate their validity. After that, they can replace them with healthier ways of thinking, however that’s a lot like the proverbial train going up the hill: “I think I can, I think I can.” In other words, it depends on the person and no outside source of help. That already dooms its effectiveness because without the Spirit of God, our thinking is totally introverted and we often end up “navel-gazing,” meaning, it’s entirely self-focused. It’s good to try and think of good things because the Apostle Paul said “whatever is true, whatever is honorable, whatever is just, whatever is pure, whatever is lovely, whatever is commendable, if there is any excellence, if there is anything worthy of praise, think about these things” (Phil 4:8), so to an extent, we are what we think, but we’re not always what we think we are because the human heart is desperately wicked and deceitful above all things and only God can know it (Jer 17:9), so we might think that what we’re doing is good…but God’s standard is the gold-standard for us, not psychologists. There is nothing more powerfully capable of changing the human mind or heart than the Holy Spirit (2nd Cor 5:17). That’s why the Apostle Paul said, “I appeal to you therefore, brothers, by the mercies of God, to present your bodies as a living sacrifice, holy and acceptable to God, which is your spiritual worship” (Rom 12:1), so “Do not be conformed to this world, but be transformed by the renewal of your mind, that by testing you may discern what is the will of God, what is good and acceptable and perfect” (Rom 12:2). There it is. We can renew our mind, only by the Spirit of God, and not by Behavioral Therapy or human counseling. Of course, receiving human counsel is not bad if the counsel is based upon the Word of God (Prov 12:15), but if it’s not biblically-based counseling, it’s nothing more than human speculation and thinking, and that only leads to death (Prov 14:12). That’s because our ways are not His ways and our thoughts are not His thoughts. The best way to be able to discern truth from error is to be involved in daily Bible reading, study, and Bible studies. FBI agents memorize what 100 dollar bills look like so that they can spot a counterfeit a hundred yards away, but if they never looked at real money, they’d never know the counterfeits, so to discern God’s will, we need our minds renewed, and the Word of God will do a wonderful job of that if you’re in it every single day. Behavioral Therapy is intended to help the patient fight depression, but also anxiety, panic disorders, anger issues, eating disorders, post-traumatic stress disorder, obsessive-compulsive disorders, ADHD and even substance abuse problems, but this type of therapy depends on strategies of men and so it is doomed to fail before it even begins. Some people are helped in this but a therapist or counselor that is detached from the Word of God can only come up with human means to solve a spiritual problem. It’s like trying to put a band aid on a cancerous lesion. It might seem like it’s gone…but underneath, it is still there and worsening. The person who has these (above) issues needs the Spirit of God to break free of these because we are not capable of doing this on our own. There are some reports of success using Behavioral Therapy, but most of the time, there is a regression and they are back where they started. Without the Spirit of God, any therapy is only as good as the source of that therapy, and if it’s not from God, it’s only a temporary fix. There is nothing sinful about receiving counseling, and particularly biblical counseling, but to try and change the human mind by means of human means and ability is destined to fail. Only by God’s Spirit can we receive the spirit of a sound mind or as the Apostle Paul wrote, “For God hath not given us the spirit of fear; but of power, and of love, and of a sound mind.” (2nd Tim 1:7 KJV), so it is by His Spirit and not by the will or the work of man. Seek counsel if you need it, but beware of modern day psychologists who use worldly methods in trying to solve spiritual problems. This takes the word of God and His Spirit is just the One Who can help. Read more about counseling here: What is Biblical Counseling? Next post: Can A Christian Have A Spell Put On Them? Are Generational Curses Biblical?